Brigid grew up in Clifton Heights with her parents and 3 siblings. She currently resides in Drexel Hill and is the proud mother of four young children, Genevieve, Harrison, Audrey and Fiona. Brigid is a graduate of Archbishop Prendergast High School and Immaculata University. 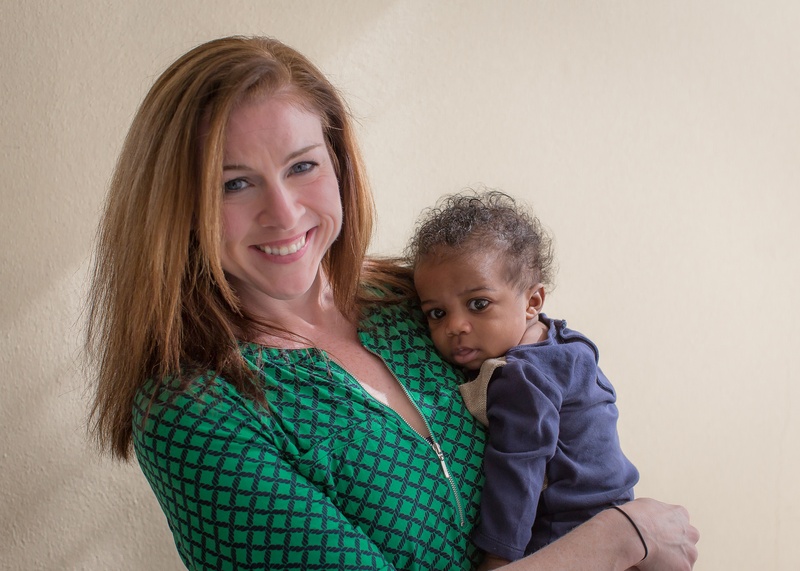 She joined Mothers’ Home as Executive Director in August 2015 after working in an office setting for almost 13 years. Deacon Timothy (Tim) Darby, Sr. joined the Mothers’ Home board back in March of 2007. Tim attended South Carolina State University and Chestnut Hill College. He’s currently employed by the Department of Defense as an Inventory Management Specialist. Tim’s church and community involvement include: Active member of Bright Hope Baptist Church where he has many affiliations; he also serves as a Deacon. Member of Most Worshipful Prince Hall Grand Lodge of Free and Accepted Masons of Pennsylvania; Mt. Olive Lodge #27; Boy Scouts of America, Eagle Scout Board of Review; Co-Captain of Durard Road Home Association. Chris D. Galligan, CPA, Chief Financial Officer, joined Stoltz in 2013 and is charged with overseeing the Accounting and Lease Administration Department of the Stoltz organization. Mr. Galligan has over twenty five years of experience in the real estate industry, primarily in commercial real estate property management, accounting and finance. Before joining Stoltz, he served as CFO of The Emory Hill Companies; commercial real estate management, brokerage, maintenance and construction companies located in New Castle, DE from 2000 through 2013. Prior to The Emory Hill Companies, he worked for a number of real estate companies (both development and management companies in the Philadelphia area) in the roll of CFO and controller. Additionally, Mr. Galligan was CFO and member of the board of directors of TA Title Insurance Company from 1996 through 2000 and assisted in the sale of the company to First American Title Insurance Company. Mr. Galligan began his career with Deloitte, Haskins & Sells and has worked for two additional Philadelphia area public accounting firms. Mr. Galligan has a B.S. Degree in Accounting from St Joseph’s University and an MBA in Finance from Widener University. He is also a CMA and is treasurer of two 501c3 charitable organizations: Mothers’ Home, Inc. and St. Joseph’s House, Inc., both of which are located in the Philadelphia area. Dr. George Isajiw, MD has been a Physician of Internal Medicine, in private practice for 35 years. He earned a B.A. from LaSalle College in Philadelphia 1966 and his M.D. from Thomas Jefferson University in 1970. Dr. Isajiw completed his residency in Internal Medicine at Mercy Catholic Medical Center, Darby, PA. He completed his Board Certification in 1976. Dr. Isajiw is Past President of the Catholic Medical Association, USA in 1993. He has been Former Treasurer and Vice-President of the World Federation of Catholic Medical Associations (Rome) 1998-2006. Dr. Isajiw has served on the Mothers’ Home Board of Directors since 1991. Helen Kane, a graduate of Villanova Law School, spent the majority of her 35 year legal career serving as an assistant district attorney in Philadelphia. Retired since 2011, Helen is a member of St. Edmond’s Women’s Auxiliary and serves as a volunteer guardianship mentor for the Chester County Orphans’ Court. Helen joined the Mothers’ Home Board in 2017. Christopher P. Lamoureux and his wife Dale reside in Middletown Township where they raised 6 children and have 5 grandchildren. Chris graduated from St. Joseph’s University with a degree in Accounting. For 10 years, Chris worked for General Electric Major Appliance & TV Sales and Service. Then he worked 10 years for WPHL-TV as an Account Executive. Chris then had a Nationwide Insurance Agency in Morton until retirement in 2014 after 34 years. Chris served for a time on the Board of the Delaware County Red Cross and has been involved with St. Mary Magdalen Parish. Chris was involved with the Delaware County Pro Life Coalition which proceeded the Mothers Home founding in 1991. Chris and his brother, George, are also involved in The Enthronement of the Sacred Heart movement and speak at all masses in Parish’s where they are invited. They invite the people to consecrate their homes to the Sacred Heart of Jesus and dedicate their families to the Immaculate Heart of Mary. Chris’ wife, Dale is a wonderful volunteer in the Mothers’ Home main office. Jody Masterson, MS, Secretary, graduated from Villanova University College of Nursing with a Master’s degree. Currently, Jody is self employed as a rehabilitation nurse who advocates with individuals with disabilities and life care planner. Jody has been a member of the Board of Mothers’ Home since 2006. 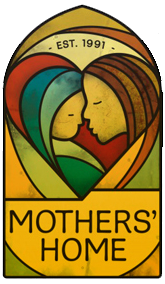 Jody strongly supports the mission of Mothers’ Home to assist and educate those women who choose to have their baby. Mary Pat Mattson is a high school mathematics teacher who has taught at Villa Maria Academy in Malvern for the past fifteen years. Her husband, Joe, and she have five children, ages 24 to 34, and three grandchildren. Time spent with family is a high priority. Mrs. Mattson belongs to St. Pius X Parish in Broomall where she is a member of the St. Vincent DePaul Society and volunteers with Sunday babysitting. Mrs. Mattson has been on the Board of Directors at Mothers’ Home for approximately eight years and is committed to its mission and purpose. She especially enjoys working alongside fellow board members who are among the most dedicated folks she knows. Dennis C. McAndrews, Esq. is the founder and Managing Partner of McAndrews Law Offices, P.C. He has served on the Board of Directors of Mothers’ Home since 2006. He is a member of the Pennsylvania Bar Association’s Elder Law Section Council. He served as Executive Director and Staff Counsel to two select committees of the Pennsylvania State Senate which evaluated Pennsylvania’s system of care for persons with disabilities and drafted proposed legislation designed to modernize Pennsylvania’s legal basis for the provision of care to the intellectually disabled. He graduated from Villanova with a B.S. in Education, a B.A. in Political Science, and from the Villanova School of Law. He served for a decade as Chairman of the Disability Law Committee of the Delaware County Bar Association. Mary White Packer’s community involvements include past President and Vice President of the Womens’ Auxiliary of St. Edmond’s, Bryn Mawr, and the Advisory Board of St. Francis de Sales in West Philadelphia. She has served on the Mothers’ Home Board from 2007. Mary and her family are members of St. Katharine of Siena Parish in Wayne, PA. Her involvements there have included President of the Home and School Association, the Pastoral Council, the Capital Campaign as well as Outreach Committee Chairperson. She and her husband George have three children; George, (recently married to Brigid), Andrew and Caroline. Mary received her BBA from the University of Notre Dame in 1978. Her professional experience is in the marketing/advertising industries. Frank V. Szalkowski earned degrees in Accounting, Business Administration and Taxation from St Joseph, Drexel and Widener Universities respectively. He has served on the Mothers’ Home Board since its inception virtually in every capacity including errand boy, maintenance, Board Chair, Accounting/Treasurer, and Acting Executive Director. He has been involved in the CAP, Jaycees, Pulaski Parade Association and is currently active in his parish and alumni choirs. His work career has involved positions at Boeing Vertol, Narco Avionics, Sacred Heart Hospital, U.C.P. of Delaware County, Weichert, Penn State University and D.F.T. Co, Inc. He is presently self-employed in public accounting. In addition to his roles as brother, husband, father, uncle, grandfather, great-grandfather, he greatly cherishes his service relationships within Mothers’ Home, his church and alumni organizations. John Duffin is a business school graduate of St. Joseph’s University. After graduation he joined the Peace Corps in Venezuela. John began his business career in the early 1970s at Girard Bank and today is a Director in the Global Banking unit at Wells Fargo Bank. John presently resides in Media, PA with his wife Ginnie, as members of St. Mary Magdalen parish where John is ministry head of the Respect Life group. John joined the Board of Directors of the Mothers’ Home in February 2015. Jen Sullivan has been married to William Sullivan for 25 years. They have 3 children, Luke, Hannah and Jack. Jen has been on the Mothers’ Home Board for over 10 years and is very involved with raising money through benefits. Jen has a Bachelor’s Degree in Education from St. Joseph’s University. She is substitute teacher at Country Day School of the Sacred Heart located in Bryn Mawr, Pa.